Horse Cents began in 1996 when David Gordon and Hugh Gregory started the business with two pickups, one cell phone, one pager, and a 12' x 30' storage warehouse. Business meetings were conducted at McDonald's over coffee and muffins. Two rented locations, 9 years, and a third partner (David Hellard), later, Horse Cents has expanded to a prominent equine business in central Kentucky. Now located in a former auto dealership, the business serves local, national and international clients. 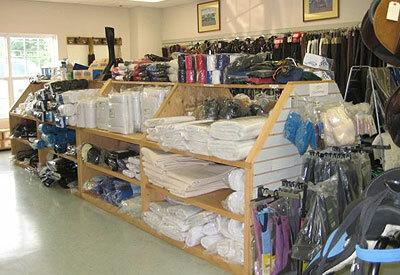 We provide a vast array of farm and stable supplies, medicines, supplements, and even horse trailers. A complete leather shop, with 6 employees, manufactures halters, shanks, and breeding equipment of the highest quality. We owe our success to the support of our customers and dedication of our employees. Monday - Friday : 8 a.m. - 5 p.m.